Union Defence Minister discusses improved procurement, AgustaWestland, and his view of honesty with Indian Express. The word ‘middleman’ may be misunderstood. I would say commission agent, people who make deals for money. These people, through money or through other methods, try to influence decisions. 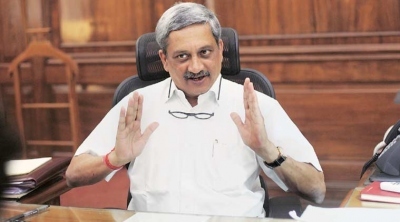 why do chaprasis , garbage collectors,clerks,peons in government do not work efficiently then their dress code is similar?.Hey btw WHEN YOU WERE CM can you ATLEAST provide a good thing you did for goa. CASINOS HAVE INCREASED, MININING LOOT IS NOT RECOVERED(NOT VEN A RUPEE), DRUGS ,CORRUPTION HAVE INCREASED. I CANNOT THING OF ANY PERFORMANCE OTHER THAN U-TURN PERFORMANCE WHERE YOU ARE AN EXPERT AND A PHD HOLDER IN THAT AREA.